CALGARY, Sept. 5, 2018 - Pond Technologies Holdings Inc. (TSX.V: POND) has, subject to regulatory approval, retained Venture Liquidity Providers Inc. (VLP) to initiate its market-making service to provide assistance in maintaining an orderly trading market for the common shares of the company. The market-making service will be undertaken by VLP through a registered broker, W.D. Latimer Co. Ltd., in compliance with the applicable policies of the TSX Venture Exchange and other applicable laws. For its services, Pond has agreed to pay VLP $5,000 per month for a term of 12 months. The agreement may be terminated at any time by Pond or VLP. Pond and VLP act at arm's length, and VLP has no present interest, directly or indirectly, in Pond or its securities. The finances and the shares required for the market-making service are provided by W.D. Latimer. The fee paid by Pond to VLP is for services only. About Venture Liquidity Providers Inc.
VLP is a specialized consulting firm based in Toronto providing a variety of services focused on TSX-V-listed issuers. 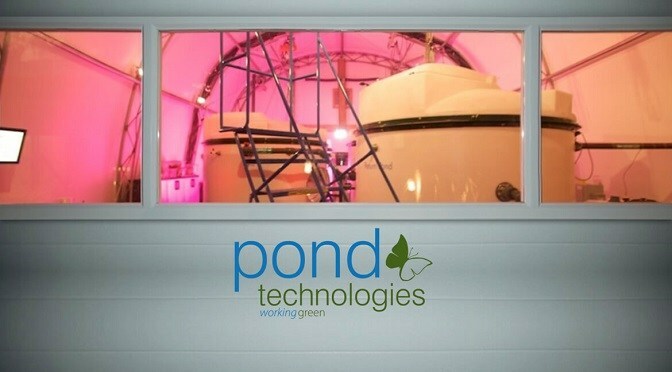 Located in Markham Ontario, Pond is a technology company that provides profitable solutions to the global health and wellness challenges of pollution abatement and nutrition. Pond's proprietary growth platform optimizes key growth inputs in order to provide a controlled environment that maximizes the growth of algae and other organisms. It enables industrial emitters to generate new revenue streams from the transformation of waste CO2 to valuable algae-based products used as proteins for animal feed and nutraceutical products like Chlorella, Spirulina and Astaxanthin for human consumption. SOURCE Pond Technologies Holdings Inc.